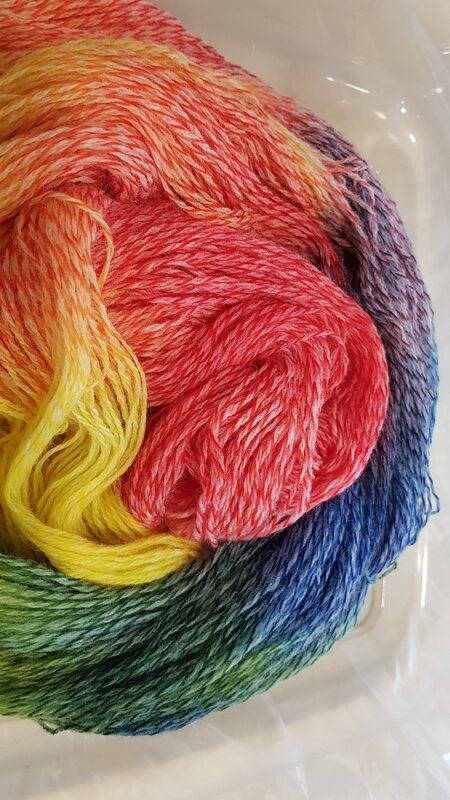 I had a great time at Black Sheep Wools, demonstrating yarn dyeing as part of Yarn Shop Day. It was a pleasure to join crochet queen Emma Varnam, super-sock knitter and blogger Christine (aka Winwick Mum) and Rowan’s Melanie Boocock. The shop was filled with enthusiastic knitters, crocheters and crafters and it was a pleasure to meet some of my regular students as well as (hopefully!) persuading some of the visitors to give yarn dyeing a try!